Every new patient should certainly know more about — Irwin S.
As usual, I received excellent service. — Linda M.
As usual, I received excellent service. Best quality dental work I have ever had. Just… — Michael M.
Best quality dental work I have ever had. Just this morning I recommended your services to my downstairs neighbors. I had no card available, but I did have a purple pencil that I took from your office. As always, the most competent staff, all excell… — Jan G.
As always, the most competent staff, all excellent at their jobs. Efficient and knowledgeable in their field. Dr. Pollack and his Team Keep You Smiling! — Barbara D.
Dr. Pollack and his Team have been taking care of my dental needs for a very long time! I have total confidence in them as caring, expert professionals, have brought my children to them (who still, as adults, continue as clients), and recommended to many friends. Their practice in both dental health and cosmetic dentistry will keep you smiling in good health and caring service. Everyone at Beautiful Smiles give the best of care — Cheryl W.
The usual excellent care. — Renee K.
Great office. Always efficient and friendly. Ve… — Vincent H.
Great office. Always efficient and friendly. Very accommodating when I have to reschedule as well. Dr. Pollack and his staff are the greatest! I … — Judith G.
Dr. Pollack and his staff are the greatest! I appreciate Dr. Pollack’s attention and advice over the 30 years I’ve been seeing him, I travel a good distance just because I like him so much, he’s been very good to me over the years. Debbie is an excellent hygienist, I always enjoy seeing her and Linda is always so kind and helpful too. I wouldn’t go anywhere else for dental work. I love all the staff Best service always!!! — Claudia H.
I love all the staff Best service always!!! Dr. Pollack and his whole team have been profes… — Lori M.
Dr. Pollack and his whole team have been professional, thorough, friendly and caring through all my many visits with them. Dr. Pollack is an amazing dentist who truly looks out for his patients. I am so glad to have found them! Dr. Harold Pollack is the best dentist in the w… — Blessing N.
Dr. Harold Pollack is the best dentist in the whole world. I already referred 2 patients to him since my last visit, which was on Friday, 5/11/18. Always a pleasant experience — Lenore D.
Awesome staff, clean & comfortable office. I’m … — Jennifer M.
Awesome staff, clean & comfortable office. I’m so glad I found Dr. Pollack and his team to care for my teeth. I wouldn’t go anywhere else. The most professional dentist and staff I have … — Mary D.
The most professional dentist and staff I have ever met. One of the best dental experiences of my life. … — Justin V.
One of the best dental experiences of my life. I have had a fear of going to the dentist since I was a little kid. Everyone was so friendly and made sure I was comfortable with everything. Dr pollack gave me multiple options to fix my teeth. This will be my home for all dental needs. Amazing place — Karen N.
Amazing place. The best staff. Knowledgeable, thorough, courteous and friendly. Its like a home from home. No nervousness needed here! 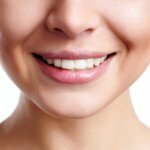 Dr. Pollack is an all-in dentist who is complet… — Susan W.
Dr. Pollack is an all-in dentist who is completely focused on his clients’ dental needs and overall oral health. Returning to the office for a quick service, I felt as though I was reuniting with friends. Outstanding skill together with a sincere and caring environment. Kim is THE BESt ! Thank you for your excellent … — Stefana D.
Kim is THE BESt ! Thank you for your excellent job . Best dentist I have ever had. Dr. Pollack and h… — Pamela D.
Best dentist I have ever had. Dr. Pollack and his staff are tremendous. Highly recommend them. Gentle and caring. The entire staff at Smiles was very understandi… — Stela A. The entire staff at Smiles was very understanding & accommodating. I was given a timely appointment with no wait-time at the office. Dr. Pollack is a very knowledgeable professional and I felt calm in his hands. He helped me resolve the problem very timely and I already feel better. Thank you! Would definitely refer friends & family — Beth S.
Great service — Michael R.
Dr. Pollack and his staff are always friendly and professional. They took care of my emergency very quickly. AMAZING dentist & staff! Everyone in the office… — Michele T.
AMAZING dentist & staff! Everyone in the office is always super sweet & friendly! I travel an hour just to see Dr. Pollack! Kim is the best hygienist on the planet. I would never go anywhere else! The staff at Beautiful Smiles is super friendly… — Bridget A. The staff at Beautiful Smiles is super friendly and lovely to be around. Their service is excellent and efficient. I always leave feeling great after a cleaning! I’d like to know what their secret is….they a… — Stacey M.
I’d like to know what their secret is….they are always smiling! Great people, very knowledgable, professional and kind. Outstanding ! — Michael M.
As ever, the care I receive at your office, Dr. Pollack, is second to none. You and your staff are skilled, personable, efficient and absolutely professional in every way. I am thrilled to have you as my dentist. Everyone is always cheerful and pleasant to tal… — Mark V.
Everyone is always cheerful and pleasant to talk to. The hygienists are very knowledgeable and care about the patient’s needs or concerns. Dr. Pollack is a excellent Dentist and he also cares very much about his patients. Always the high standard professional care. — Jan G.
Always the high standard professional care. Look No Further — Teresa G.
My whole family goes to Dr. Pollack. It’s a friendly, clean office environment and we’ve never had a bad experience. If you’re looking for a relaxed experience with an extremely competent dentist, Dr. Pollack is your guy. The best dentist and staff, as well. — Terri K.
The best dentist and staff, as well. Very nice atmosphere. Friendly people and as ni… — Oliseyenum N.
Very nice atmosphere. Friendly people and as nice as a dentist visit can possibly be. What a friendly, professional practice — Vincent H.
What a friendly, professional practice. Dr. Pollack always greets you, even when you are only there for a cleaning. Anything going on with your teeth or gums are explained so that you fully understand the situation, and how it can be alleviated. This is the best dental practice! All excellent care and atmosphere. Professional… — James B.
Dr.Pollack and staff are by far the best. Just … — Paul G.
Dr.Pollack and staff are by far the best. Just love them . They are so professional and every proceedger is clearly explained. Yeah! It’s about time a enjoy a dentist visit. — Chantal B.
Yeah! It’s about time a enjoy a dentist visit. Thank you for your help with my teeth. I reall… — James A. Thank you for your help with my teeth. I really appreciate it. You and your staff are a very pleasant group.It was a pleasure to have you work on me. Thank you again. Dr. Pollack and his staff are awesome! He is th… — Tyrell C.
Dr. Pollack and his staff are awesome! He is the best dentist ever! Dr. Pollack is the best. His staff is amazing. … — Anne B.
Dr. Pollack is the best. His staff is amazing. No room for improvement — Susan W.
Every point of contact exceeded my expectations. Each professional working with me showed a genuine interest in my needs; listened attentively and provided appropriate and informed input. Over 35 years of great care. Thank you. — Renee K.
Over 35 years of great care. Thank you. Love going to the dentist! — Betty D.
Excellent service — Jennifer Z. Beautiful Smiles is awesome! Great technical skills and warm and wonderful people! We love you! I’ve been going to Dr Pollack for over 25 years… — Mary B.
I’ve been going to Dr Pollack for over 25 years and have always been satisfied! 5 star review for a 5 star staff — Denise G.
Always a pleasure — Michael M.
Always a pleasure coming to the office. It sounds silly to say, but you, Dr. Pollack, are the best dentist I have ever had work on my teeth. And Kim is without doubt the most skilled and thorough dental technician I have ever experienced. For years I avoided dental visits – they were painful, expensive, and I rarely got explanations for the many different procedures. With you I’m a partner in caring for my teeth. I couldn’t be happier with the care I am receiving. Excellent welcoming staff! — Sharon Z.
Dr. Pollack and the team at Beautiful Smiles is… — Jennifer W.
Dr. Pollack and the team at Beautiful Smiles is the best- highly skilled, professional, friendly and prompt. I highly recommend them. Full Restoration of a Shattered smile — Gavin M.
After suffering major dental damage in a car accident from 10 years ago, it’s been a never ending struggle to find a dentist that could provide me with a regular smile. Temp bridges, crowns and veneers have all been tried and failed throughout the years. A dentist suggested $50,000 worth of implants at one point. After much diligent research I went with Dr. Pollack, despite the dentist being a long distance from where I live & work. The decision paid off, exceptional customer service, assistance with financing and insurance costs and more importantly, a perfect smile. The attention to detail from Dr. Pollack is incredible, I would have accepted a finished product halfway through the process but he was a perfectionist and wanted the best possible results and that’s what I got. I had veneers, temp bridge, permanent bridge, whitening and all of the extractions, cleanings and fillings along the way. However, he chose not to perform implants which would have trebled the cost and he seemed it surplus to requirements. I respect that tremendously. Words can not explain how great your office is…. — Yesinia A. Words can not explain how great your office is. Thank you so much.